If you aren’t yet an avid Outsourced viewer - check it out. The NBC show examines the cultural divide between the US and India through the lives of an American call center manager and Indian staff and friends in Mumbai. He gets to explain American popular culture (which isn’t as easy as it sounds) as he tries to understand Indian culture and tradition. Alessandra Stanley of The New York Times stated "The fact that it's neither embarrassing nor deeply offensive—once it gets rolling, the show is actually quite charming—is a credit to the cast and the writers." 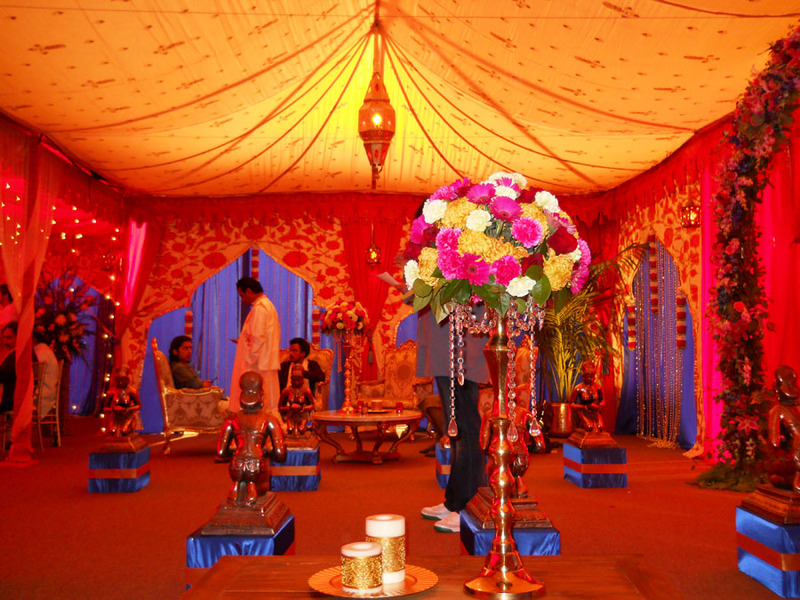 The last two episodes in this season feature a big Indian Wedding, so of course Raj Tents were brought in to provide tenting and décor for the set. Location filming took place on Malibu’s Zuma Beach with the tent also set up at Radford Studios, Studio City. The main tent was a 40’ x 60’ frame tent with Raj Tents Mughal Arch walls in a palette of sand, orange and gold, with a matching honey glow ceiling, scalloping and our fab Ajmer lamps. Bright blue drapes in the centers of the arches brought in a strong, photogenic contrast. 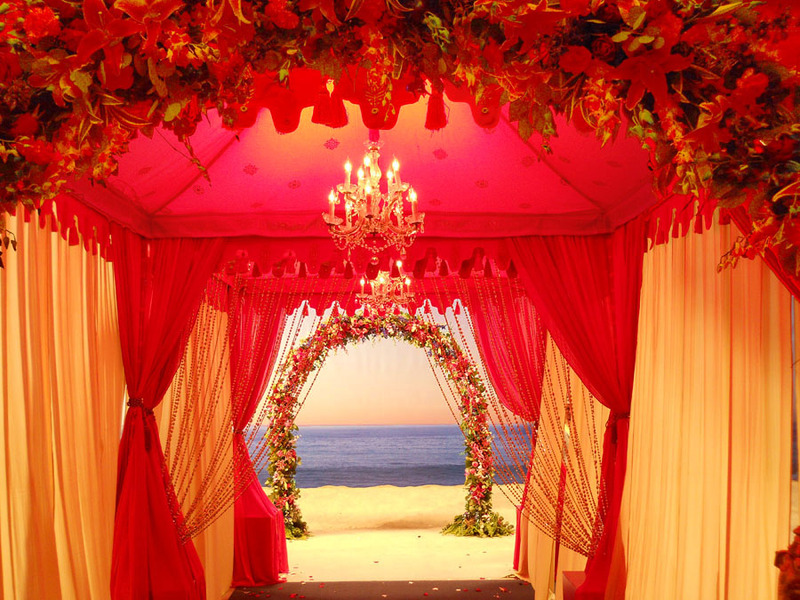 The entrance Pergola with it's bright floral arch and wreathes, was in a deep red, to pop out against the tent, beach, palm trees and sky. Several other red Pergolas scattered the beach and an octagonal Grand Pavilion in blue tones was set a little way from the main tent. Watch Outsourced on May 12th and the season finale on May 19th to see the set and enjoy the drama!